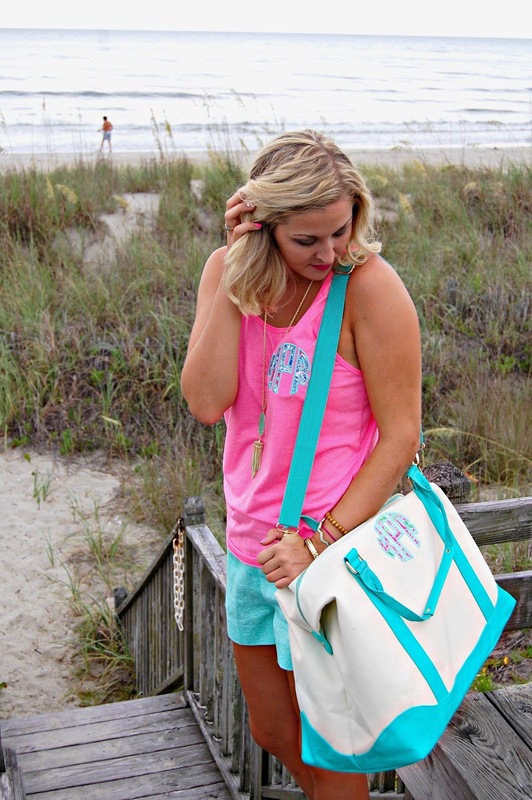 It's no hidden secret that I love all things monogrammed. My outfits are generally accompanied by a monogrammed clutch, monogram necklace, or both. So naturally, monograms are traveling with me on a vacation. 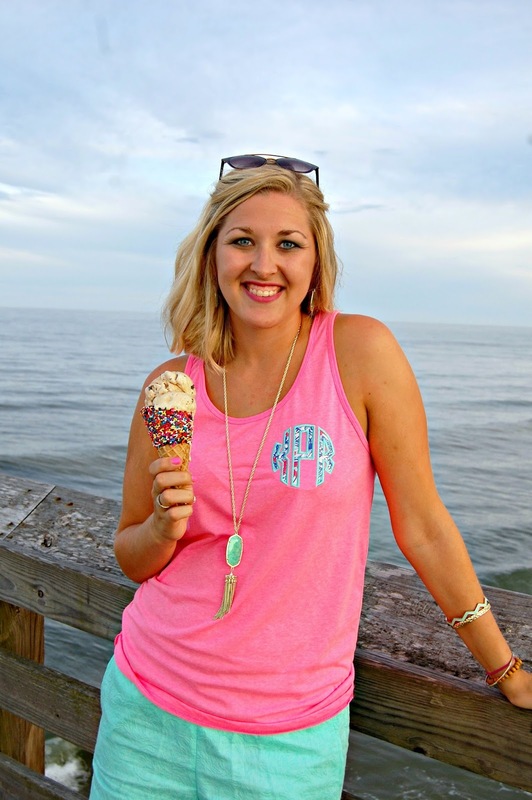 United Monograms have a ton of adorable personalized items from clothing, jewelry, bags, and accessories. So basically everything you need to vacation in style. 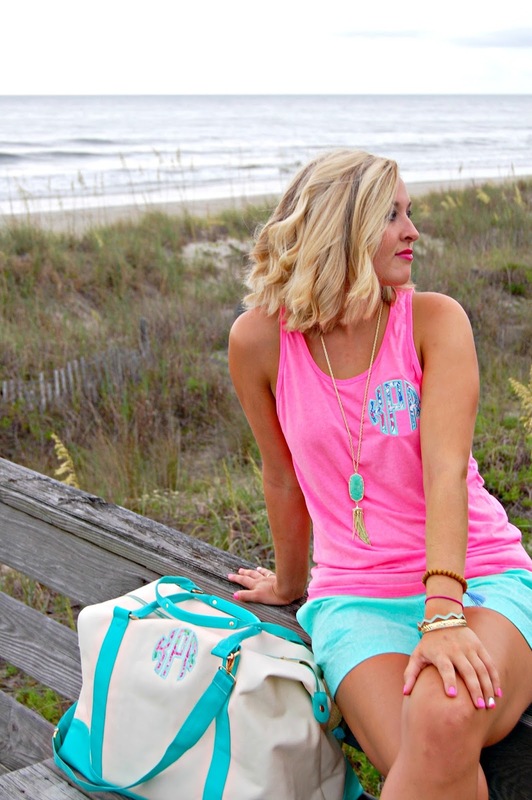 My two beach vacation favorites are these Lilly Pulitzer inspired items. 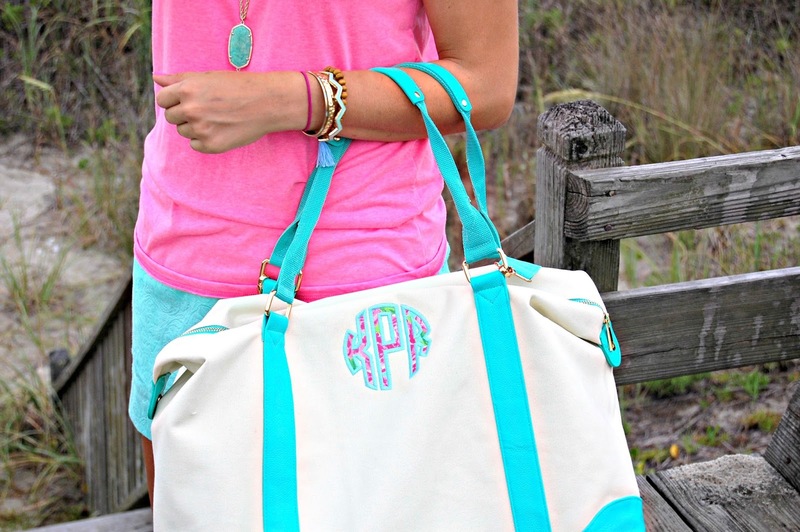 I am obsessed with this weekender. It's the perfect sized plane carry-on and holds a ton of stuff! Oh, and happy #NationalIceCreamDay to ya, ya filty animals! 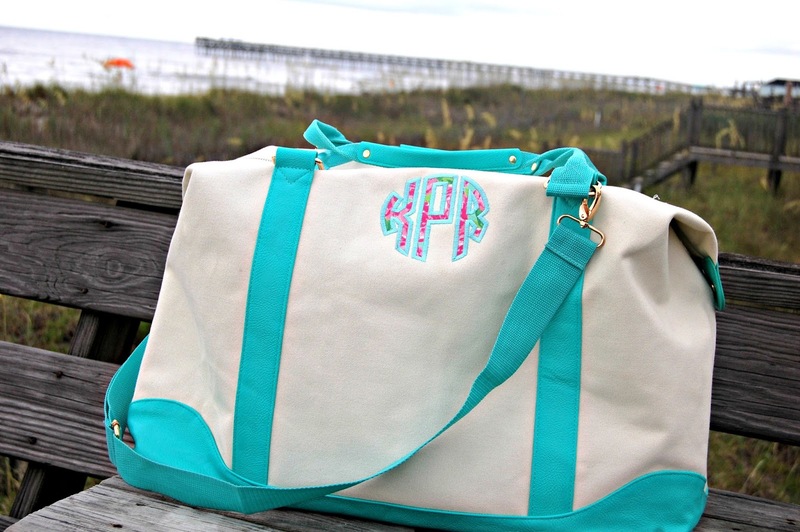 Get cha some United-Monograms.com pretties for your vacay! 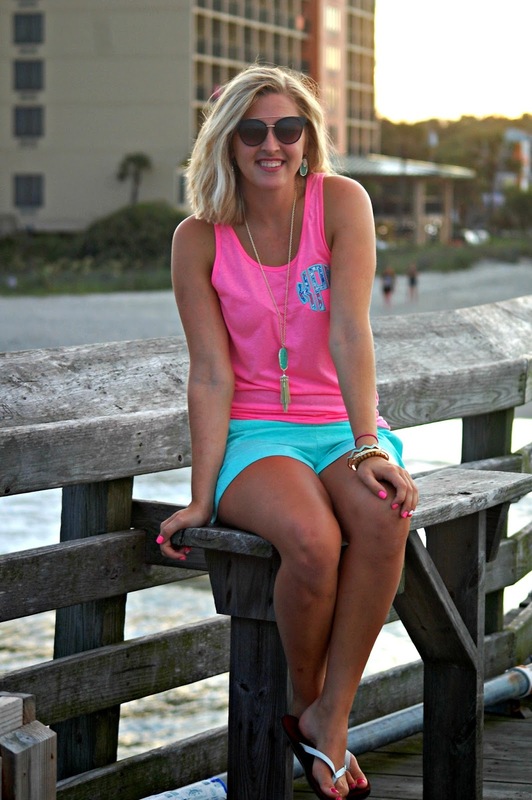 love the bright colors, girlfriend!